Grey is one of those colours that I need in my wardrobe, to be honest, I have a weakness for this colour. If I see a grey tee shirt in a different shade to the ones I have or looks slightly different, I have to try it on or somehow convince myself I need this in my life. Whether it is a grey tee shirt, grey coat or grey trousers, you can not go wrong with grey. 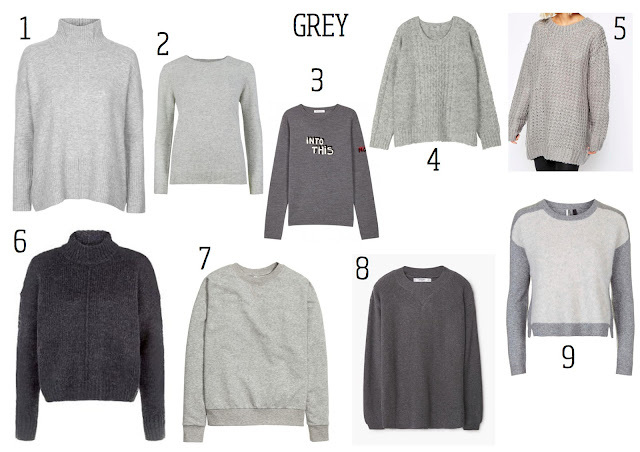 My favourite has to be the grey jumper/sweatshirt. It will forever be an item in your wardrobe, it is timeless and will never let you down when you're having a what to wear moment. My collection of grey jumpers consists of cashmere, cable knit, and mostly sweatshirts. Obviously there's room for more styles in my wardrobe, but for now I am loving each and every one. 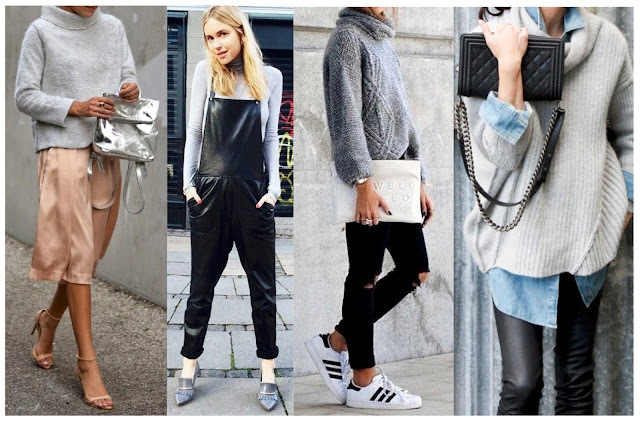 So apart from the obvious of wearing your grey knit over jeans, here are a few ways you may like to wear yours with inspirations from Pinterest. 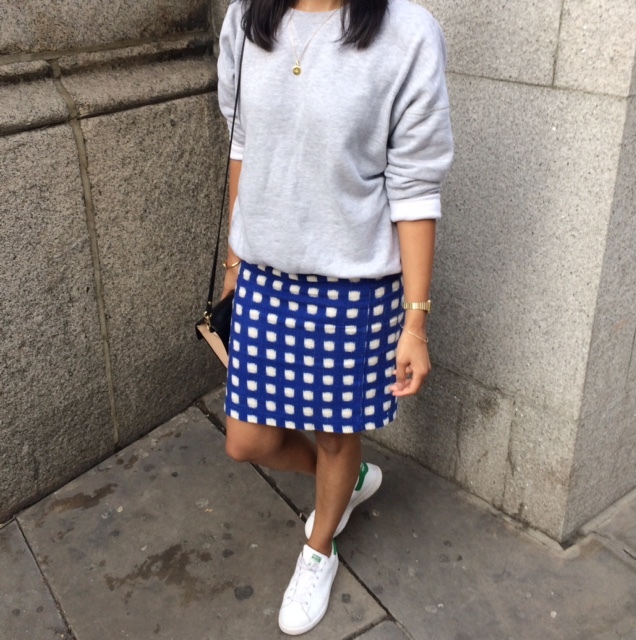 My favourite style is the casual grey sweatshirt and I like to pair it with a smart skirt or trousers. 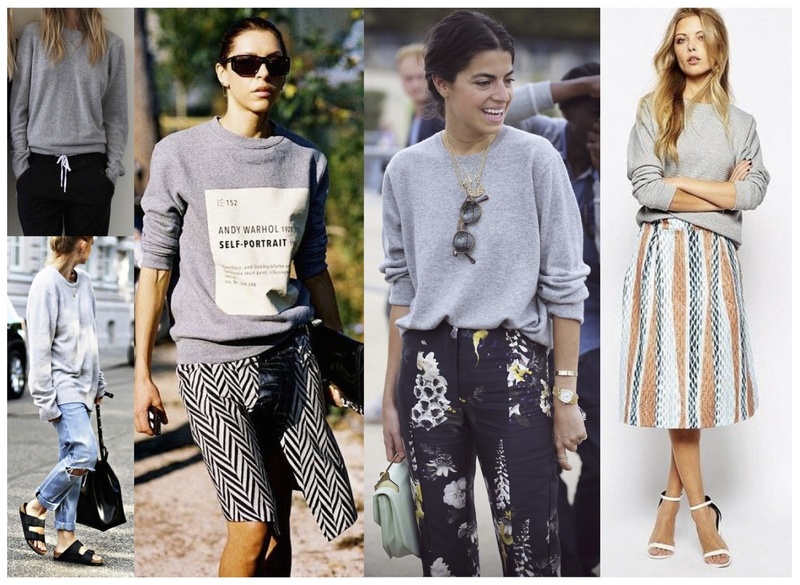 Are you a lover of grey jumpers? If so how do you wear yours? Here are a few of my favourites below...I actually want them all! I realised I hadn't included v neck jumpers but if you are looking for a v neck style, M&S have a few nice choices from tunic jumpers to cashmere.